Biokleen's Natural Bonnet Cleaner (available here in Large Sizes) effectively cleans commercial and residential carpets by suspending & transferring soils from carpeting and into the bonnet pad while reducing friction to extending both the life of the carpeting and cleaning pads. Unlike most conventional bonnet cleaning solutions, this Natural Bonnet Cleaner is Safe for workers and customers & is even gentle to skin. It's safe to use on all washable carpet and rug fibers, including natural fibers such as cotton & wool, stain resistant carpets, commercial carpets, shag carpets, berber carpets, etc. In addition to bonnet cleaning of carpets, Biokleen Bonnet Cleaner can also be used for carpet shampooing and bonnet cleaning of upholstery. Biokleen's Natural Bonnet Cleaner is meant to be dispensed via a shampoo tank or sprayed directly on carpets, rugs or furniture. Do not use for hot water extraction (steam-cleaning) as Bonnet Cleaner may over-foam and clog extraction hoses. Dilute at 1:64 or 2 oz of Natural Bonnet Cleaner per each gallon of water in a pump or electric sprayer. Spray just enough area to remain damp while cleaning. The size of the area will vary depending on air temperature, air movement, humidity levels, carpet style, etc. 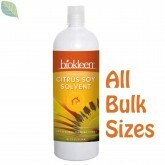 Do not Biokleen Bonnet Cleaner dry on fabric (Carpet, Rug or Upholstery). If Bonnet Cleaner does dry on surface, simply reapply over the top with more Bonnet cleaner if heavily soiled, or clean warm water if ligthly soiled. Do not over-wet as surface soil could be carried deeper into carpets pile and even into backing. Pre-treat stains and high traffic areas with a more concentrated solutions of Biokleen Bonnet Cleaner, or you can use Biokleen Traffic Lane Cleaner or Biokleen Bac-Out. Dillute 1:64 (same as for bonnet cleaning) or 2 oz of Bonnet Cleaner to 1 gallon of water. Scrub with Rotary Floor Machine. With either method, for heavy soils, following up with Truck-Mounted (or portable) Hot Water Extraction (HWE) is the preferred method. If product over-foams, be sure to apply defoamer frequently to extracton hoses.